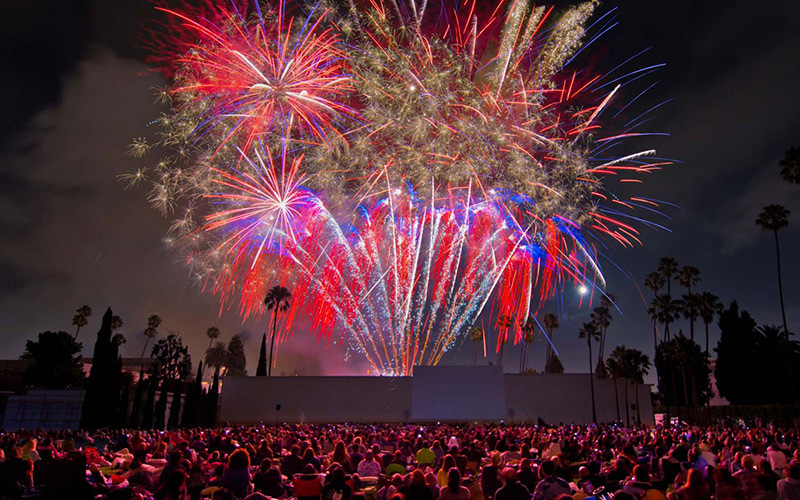 Before we get rolling, I’ll do you a solid: If all you want out of this is a deep and comprehensive knowledge of all the fireworks displays you can see in L.A. this weekend, you’ve come to the wrong place. But that place exists right here. For all other manner of fun activities, some of which still include fireworks, proceed. Some awesome fan art from @chrisdashrob. If you’ve seen #TheBigSick, you’ll get it. If not, well, hopefully you’ll fix that soon. Friday: Comedian Kumail Nanjiani and Kurt Braunohler will discuss The Big Sick at its 6 p.m. screening; Molly Shannon, Kate Micucci, and Lauren Weedman host a Q&A after the 7:15 p.m screening of The Little Hours (they’ll also stay after to introduce the 9:40 p.m. show). Saturday: Actress Aubrey Plaza and director Jeff Baena take questions after a 7:15 p.m. screening of The Little Hours and introduce the 9:40 p.m. show. Friday and Saturday: Baby Driver writer/director Edgar Wright does a Q&A after the film’s 7 p.m. and 8 p.m. screenings and will introduce the 8 p.m. and 9:30 p.m. shows.